Pushing bar high- Day 9 Asian Games 2018 takes the total number of medals rising to 41. India witnessed yet another fruitful day in track and field events. The athletes established their position after returning with gold and silver medals. Dharun Ayyasamy clinched on to a silver in men’s 400-meter hurdles. Followed by Sudha Singh who won silver in women’s 3000-meter steeplechase on the Day 9 of the Asian games 2018 in Jakarta. 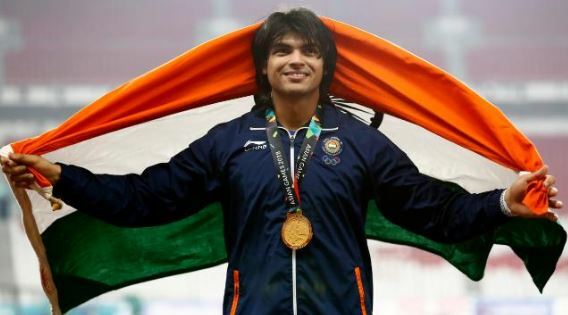 The star of the day was undoubtedly Neeraj Chopra. He became the first Indian javelin thrower to win gold in the Asian Games After shattering his own national record he established a bar with a distance of 88.06m. Chopra’s gold is said to be India’s only second medal in the javelin throw in the history of Asian Games 2018. In the history of the Asian Games 2018, Saina Nehwal’s bronze became the highlight of the day. Winning the first individual badminton medal, she established a new horizon after 36 years. Neena Varakil also won silver in women’s long jump with a jump of 6.51.